This post is part of our new series in the Shutdown Stories project, documenting the impact of internet disruptions on people’s lives around the world. The people of Togo are good at organizing through the internet, and their government is not happy about it. All month, the Togolese have been holding huge protests demanding reforms from president Faure Gnassingbé, whose regime killed hundreds when he came to power in 2005 following his father’s four-decade reign. According to our STOP internet shutdown tracker, Gnassingbé first experimented with disrupting the internet during an election in 2015, and has begun doing so again in an effort to stop young organizers from mobilizing marchers with the hashtags #TogoDebout (Togo, stand up) and #TogoEnMarche (Onward, Togo!). The shutdowns have not been effective at stopping the protests, but they are harming the lives and livelihoods of Togolese people. Here we share the experiences of four Togolese who got in touch with us through our #KeepItOn campaign’s Shutdown Stories project. All hail from Lomé, the rapidly growing capital city on the Atlantic coast, where the protests are largest. Truth (family name withheld) recently graduated from an IT program, and now has an internship at an online radio station. They told us how each part of Togo’s network went offline on September 5th, as internet service providers carried out orders from the Gnassingbé government. 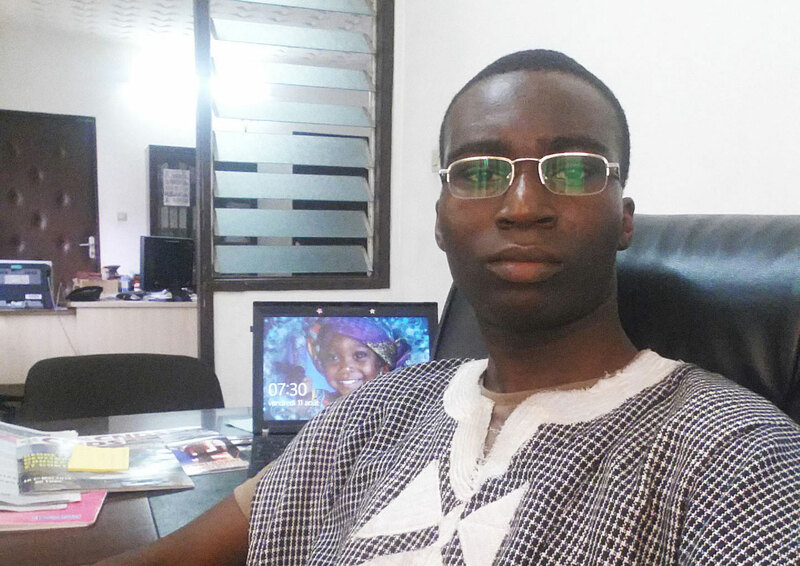 Emmanuel, Truth, Jeannot, and Ayité are just four of the hundreds of thousands of people in Togo whose lives have been disrupted by the internet shutdown. But as the damage keeps mounting, the protesters are staying strong, and resourceful journalists like Emmanuel are finding ways to bring their story to the world even as President Gnassingbé tries to isolate them in internet blackouts. We’re grateful to each person who shares a personal story of a shutdown, whether it is through our form, their own blog, or with a journalist. We encourage bloggers, human rights defenders, activists, and others fighting shutdowns to tell these stories as well. If you have a personal story, please share it with us, or if you know someone who has experienced a shutdown, encourage them to do so. The story you submit could help change the world for the better. We welcome submissions through our web form (English | Français) or via email to melody@accessnow.org (PGP public key: 2869 76FD FDE8 AD96 A461 F05F D6FD 9F01 FF9D 6041). The #KeepitOn campaign consists of 141 organizations from 59 countries that are devoted to fighting internet shutdowns. Since we launched the campaign at RightsCon Silicon Valley in 2016, we’ve seen major victories: the U.N. Human Rights Council condemned internet shutdowns; 30 governments of the Freedom Online Coalition spoke out against shutdowns, as have the GSMA, the Global Network Initiative, and the African Commission on Human and Peoples’ Rights. And, together with local activists, we have helped to end major internet shutdowns in Cameroon and Gambia.